Parents over the weekend were ticking off items on the shopping lists of all scholastic materials. However, to their surprise, their budgets were small to purchase the required material. The prices have shot up due to the depreciation of the shilling against the dollar, and the pinch is felt by all shoppers. Both parents and business people put the blame on free fall of the shilling against the dollar, saying it has pushed most of the imported items up. By close of business yesterday (Sunday), the dollar was trading at Shs3,660.53. However, traders add that the ever increasing rent and high taxes by both Uganda Revenue Authority (URA), Uganda’s tax collection body and Kampala Capital City Authority, force them to hike prices for them to stay in business. 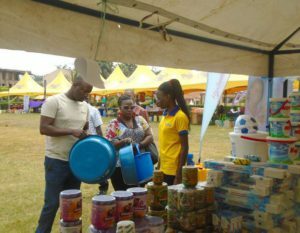 According to Ssemuyaga Hamdhan, a trader in Kikuubo, price hikes are attributed to the free fall of the dollar against the Shilling, and the high taxes charged by URA. “Everything we import has gone up, its not our fault, let parents blame URA and KCCA. We have to increase prices to stay in business,” he says. He adds that high importation costs have affected business because importation means trading in dollars. Ms Namusu Noeline, a mother of four, decried the hike and called on government to intervene. “I am supposed to return four children to school; but now, I will take the back in shifts. Now here he [trader] tells me a ream of paper is at Shs16,000 instead of Shs12,000, where is the fairness,” the mother of four said. At Kisenyi downtown, Mr Aaron Ssembooze, a metallic suitcases deal, said they (traders) have nothing to do if dollar continues to go up. Almost everything we use in making cases are imported. And importation means trading in dollars, so the higher the dollar price, the more we shall increase our prices to recover some little profits, Mr Ssembooze said.